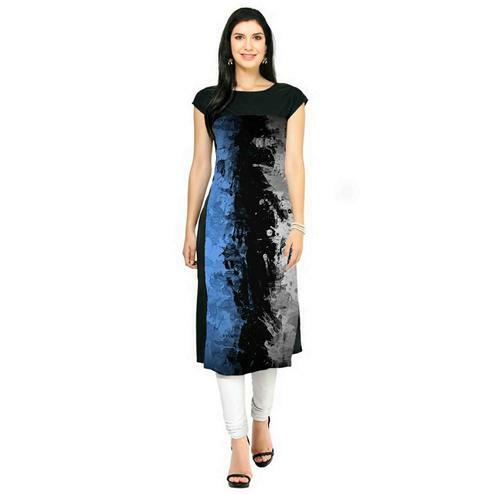 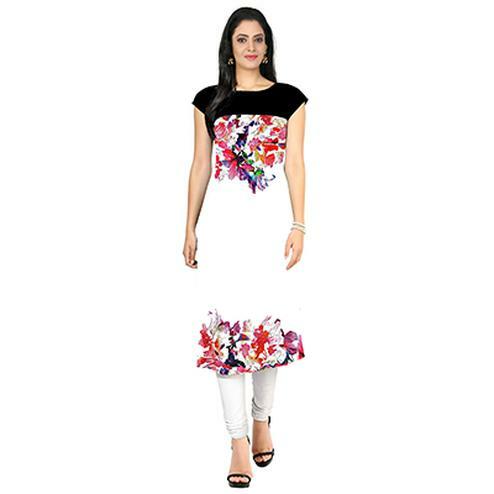 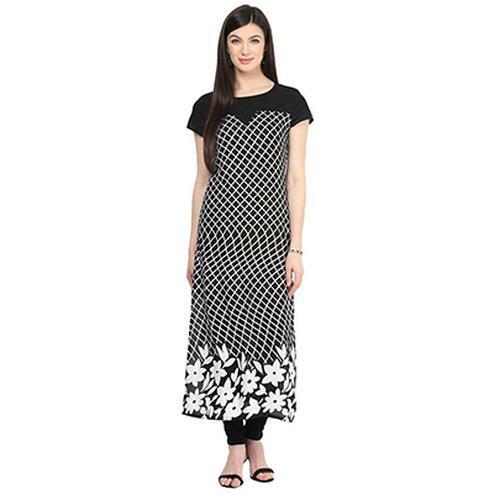 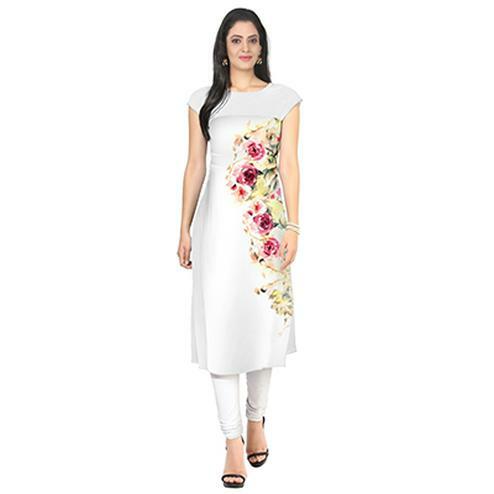 This white - black american crepe fabric kurti has got contemporary design digital prints short sleeves and boat style neck. 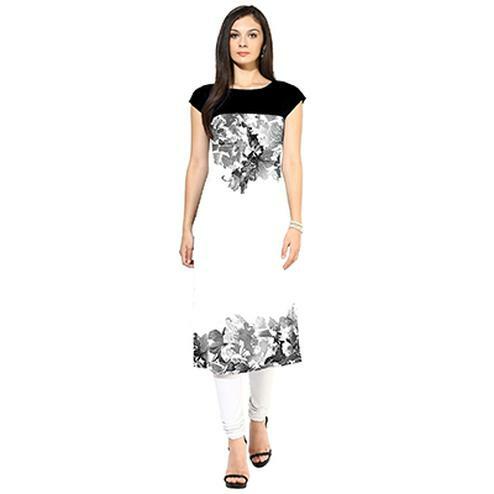 Team this kurti with matching jeans or leggings for a complete look. 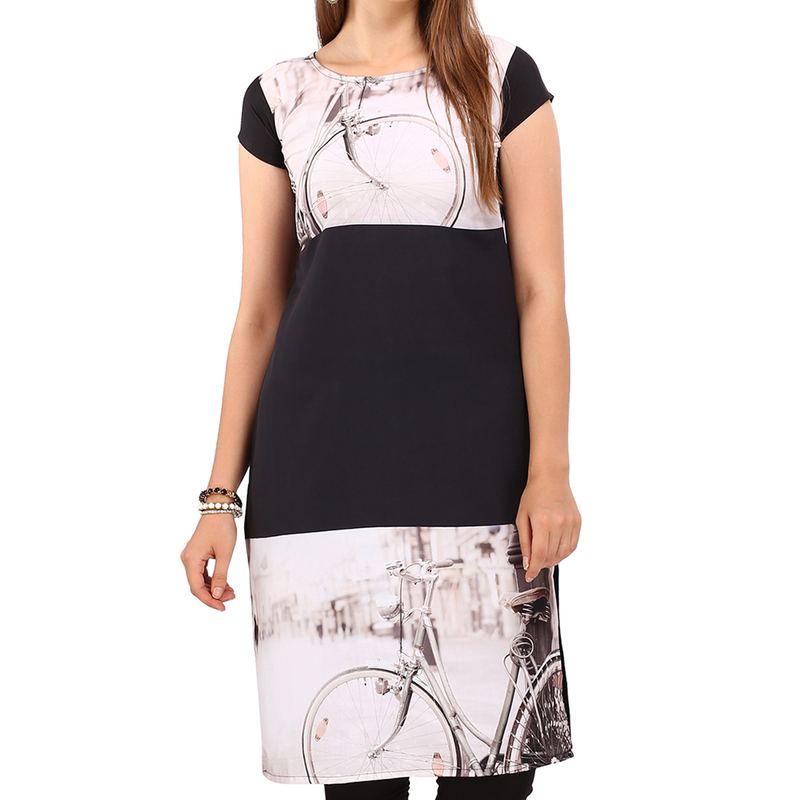 It's a perfect kurti to wear for casual and regular wear.